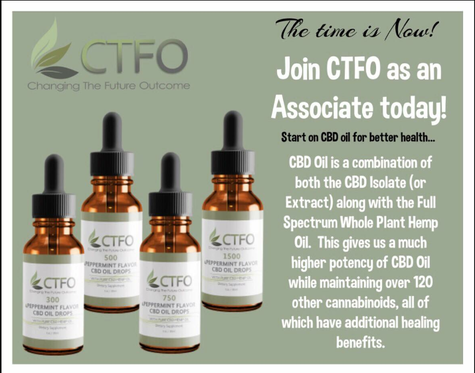 We at CTFO want you to work with us in achieving greatness, Its very simple, Sign up, Get to know the product (CBD), Start to advertise it, Made sales from ads, finally get a commission from the sales that you made. You will have no issue getting started on earning a 6 figure income within months. Become a associate is easy.